Well this was an odd one. Purchased on a whim (something I do quite rarely these days) and never before heard about, I decided to take a chance with Hideous Creatures. And boy was it taking a chance. The premise is relatively simple: ‘youngest son of an illustrious line’ Arthur Hallingham flees from scandal in England and makes his way to the New World on a slave ship from Africa. Once there, he sets out to discover a new life and forget his old one… all very intriguing and interesting so far. The section on the slave ship is particularly grim and fascinating at the same time, and the engaging nature of Lister’s writing really comes through – there is plenty of mystery about Arthur and his past, and the reader ploughs on, eager to discover more. In regard to Arthur’s secrets, this style continues throughout the book. Right until the dramatic reveal you are trying to guess what he is running from and what makes him so ashamed of himself, and I both enjoyed and admired the suspense and intrigue. Once Arthur reaches the New World, he soon teams up with an even more mysterious man, Shelo, who is covered in spiralling tattoos and may or may not be a witchdoctor, a magical being, a native, or something else entirely. He is consistently described like some kind of wild beast, huge and imposing, with eyes that seem to make everyone scared and nervous. He tells Arthur he ‘called’ him from across the sea and needs him to accompany him on his strange journey to fulfil a strange purpose… and Arthur goes along with it. He has literally nothing to lose. And so there is lots of travelling, random and unnecessary interactions with outlaws that go on too long, and the mysterious horror of what Shelo does in the back of the wagon with the desperate people who come to him for help. Arthur hears them screaming, and sees them leave with wide, blank eyes. They wander off into the night like zombies. This is where it starts to get a bit odd. Arthur’s personal story is actually rather good and very interesting, and the secrets of his life are eked out in flashbacks and memories in a very satisfying way. It’s just the magical-realism hoohah with Shelo that I’m still not sure of. More information about him comes out over time, but even then it doesn’t all gel together. It sort of makes sense, but it gets a bit overblown and makes you take a step back and realise that it doesn’t quite sit well alongside Arthur’s story of aristocratic scandal and personal demons. However I did love the descriptions and the vivid images of the landscape, the weather, the atmosphere, and the mood of these outcasts travelling around the New World without a home. Arthur and Shelo are eventually joined by Flora, the daughter of a famous outlaw, and she serves as a reality check for them both and stops the whole things from sinking into overblown melodrama. I didn’t think she had enough to do, but I liked her earthiness contrasted with Shelo’s mysteriousness and Arthur’s despair. 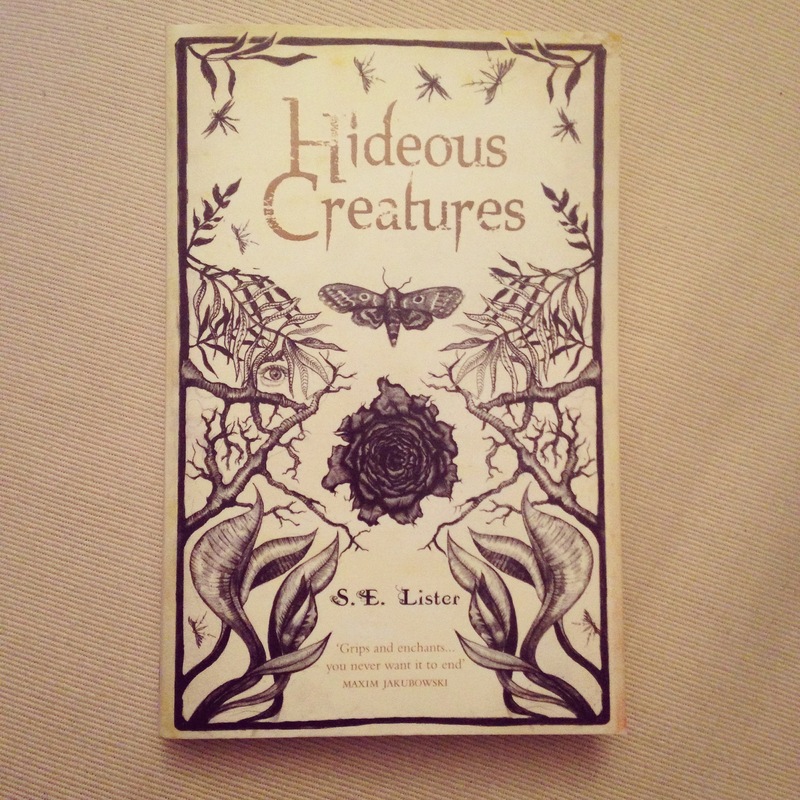 My ‘verdict’ for Hideous Creatures would be that it is basically a good book, but that it needed to be reined in and sculpted a lot more by both the author and the editor. It runs a bit too wild and gets caught up in its own fantasy, and the sharpness is lost. It was still enjoyable, and I read it quickly, but there was a bit too much faffing and wriggling. I will however keep an eye out for what S. E. Lister does next – I reckon it will be intriguing if nothing else. Published by Old St Publishing in 2014.